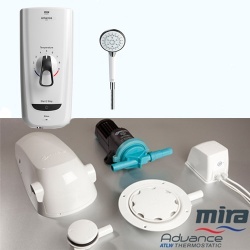 With Electric Shower & Shower Pump Kits the pump will automatically start up and shut down when the electric shower is used. This makes installation easier and eliminates the use of flow sensors and flow switches. 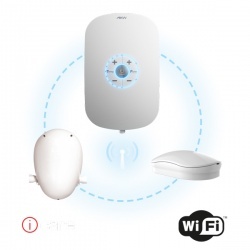 Most kits offer hard wired communication or bluetooth connectivity for a wireless installation.